This controller pcb drives 5 10mm dot stripes. There is an open source Arduino library available on base of Adafruit GFX, so easy to use. 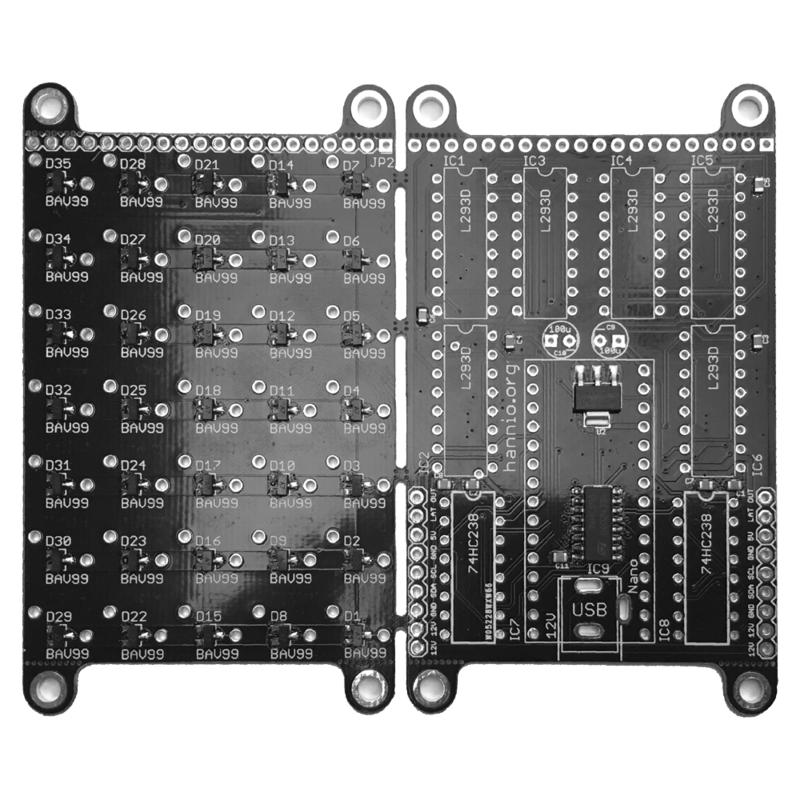 I’m only producing the serial variant, so the Arduino/I²C variant won’t be back in stock. But if you like to drive a single board with an Arduino at the back, you can remove the shift register and plug in your Nano. You can daisy-chain as many modules as you like and drive them by a single Arduino using only three pins (free to define). 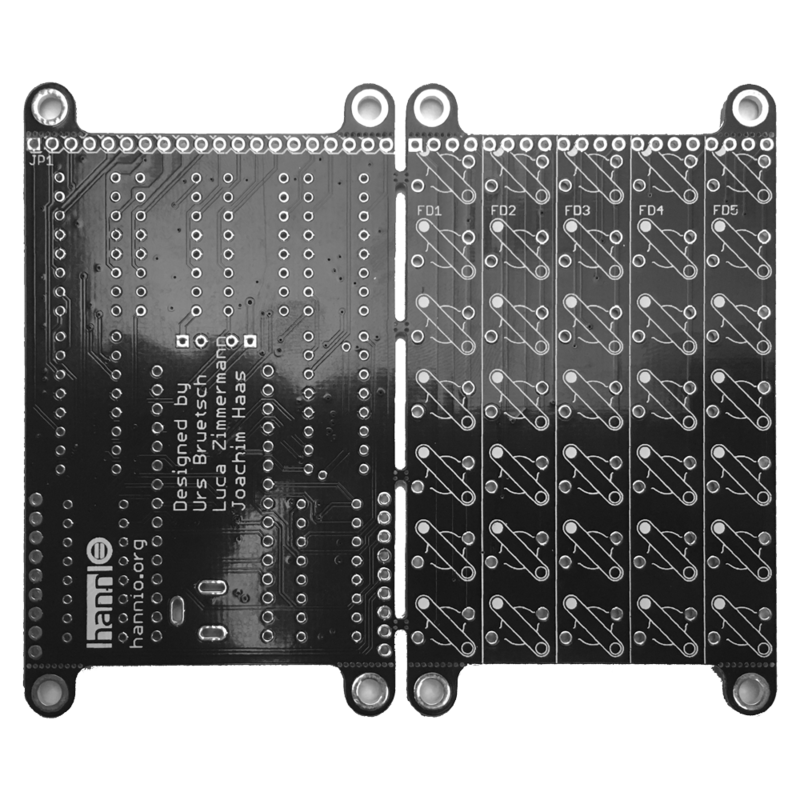 All surface mount devices are soldered, just the L293D, 74HC238 and headers need to be soldered (and of course the dots, sold separately).